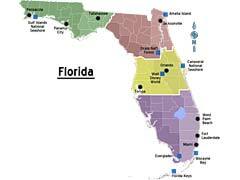 Florida municipal bonds are issued by various government agencies of Florida state to borrow money from individual investors to pay for various development projects across the state like building new schools, parks, roads, sewer and water infrastructures. Generally, there are two categories of Florida municipal bonds, namely, General Obligation Bonds in which the loans are secured by the taxing power of the issuing Florida Government authority and Revenue Bonds that are guaranteed by the actual revenues received from the new development in forms of toll road charges, building rent payments and various usage fees. Interest income received from investing in certain municipal bonds is tax exempt from Federal and State income taxes. This makes Florida municipal bonds an attractive investment that in addition can help fund development of state’s promising infrastructures. In order for you to make an investment into Florida municipal bonds you must have an account with an existing brokerage company to represent you and make a purchase on your behalf. Investing in Florida municipal bonds requires strong understanding of current development projects, bonds maturity and anticipated prospects of development. Florida State is continuously receiving AA ratings for the excellence of their municipal bonds by a number of rating agencies in the US. Among the best municipal bonds in Florida that are worth mentioning are Adventist Health Systems and JEA electric system for their strong operating performances. In the light of the recent credit collapse in the United States, even seemingly high yield municipal bonds are not considered a great investment any more. California municipal bonds, for example, have very poor prognosis as to yields due to severe state budget deficit. Investing in Municipal Bonds - How To Hedge The Risk? Municipal Bond Market Crash - Why Could It Happen?